Shaanxi Yanchang Petroleum (Group) Corp.
Our publications, reports and research library hosts over 500 specialist reports and research papers on all topics associated with CCS. 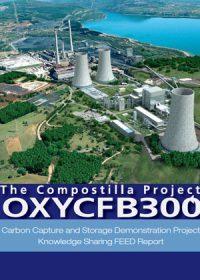 This report describes the lessons learned and provides detailed knowledge from the expert multidisciplinary teams - including mechanical, electrical and civil engineers, geologists, ecologists, lawyers, accountants – that carried out the extensive Front End, Engineering and Design (FEED) study of the full chain OXYCFB300 Project. This document summarises all the engineering studies and considerations developed during the FEED. From the original conceptual idea, FEED engineering works have yielded a functional and technically feasible power plant, which successfully integrates oxycombustion technology with a state-of-the-art ultrasupercritical regenerative power cycle and with an innovative CO2 purification and compression process, integrated with a transport line that conducts the CO2 at dense phase to the final CO2 geologic sequestration site, for an operational life of 25 years.